Learn how to pop and lock by enrolling in our online instructional course. Our course will teach you how to pop and lock to hearts content. Not only that but you'll also learn all of the fundamentals of breakdancing from floor work, to toprocking and transitions to freezes and powermoves. You'll learn everything you need to know to be a great breakdancer. 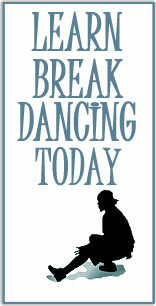 If you want to enroll in our course and learn how to breakdance simply click on the link below.